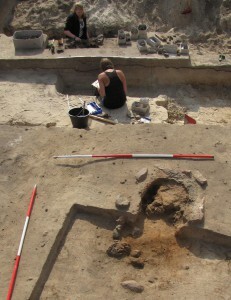 Focused research conducted in the Teltow region south of Berlin in recent years has uncovered evidence suggesting that iron was smelted locally here as early as the 6th/5th c. BC (Ha D/LtA). 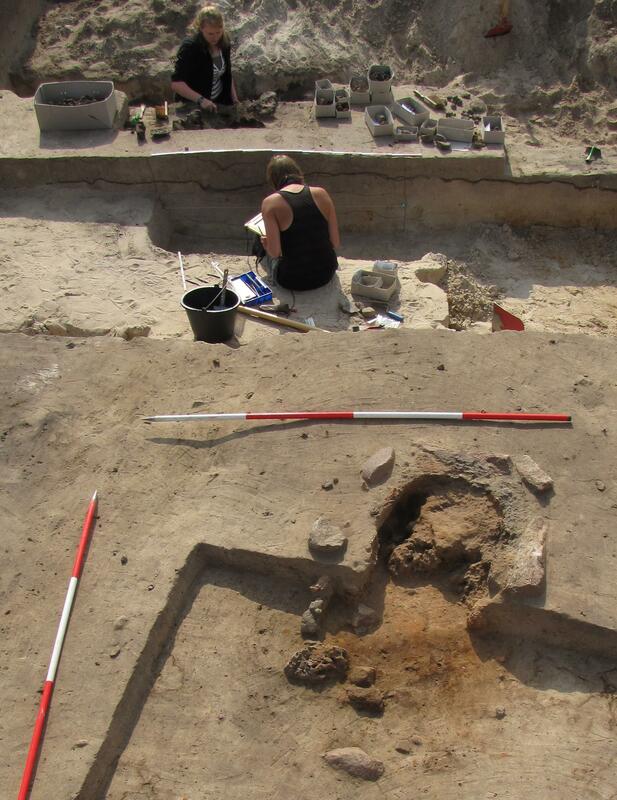 Thus far, research has concentrated mainly on a settlement near Glienick in the Teltow-Fläming district, where excavation findings include 12.5 metric tons of iron slag and the remains of eight bloomeries. Research at the Excellence Cluster Topoi was dedicated to the question of how extensively iron was produced in the region as a whole and what form the earliest manifestation of this innovation may have taken. The Iron Age section of the newly designed exhibition on prehistory and early history at the Neues Museum Berlin includes archaeological finds from Glienick that correspond to various stages in the iron production process, from mining ore to smelting in a bloomery to forging bar iron. 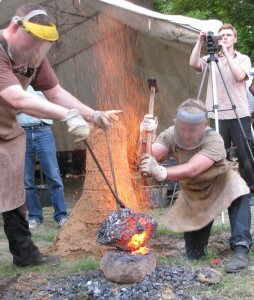 The exhibition also presents the results of iron smelting experiments conducted in a bloomer of the type discovered in Glienick. This includes a lump of iron created with the support of the Excellence Cluster Topoi during the Event “Lange Nacht der Wissenschaften”.